Lemax Victory Theater Lighted Facade depicts a bygone era Theatre house on show night illuminated outside to attract audiences. Lemax Victory Theatre from the themed Essex Street collection is a flat-backed slim lighted building with strip lights illuminating the front of the building flashing on/off. Suitably placed in and amongst a seasonal Lemax village street scene. A popular Lemax Caddington Village collectable table piece that joined the Lemax collection in 2015. 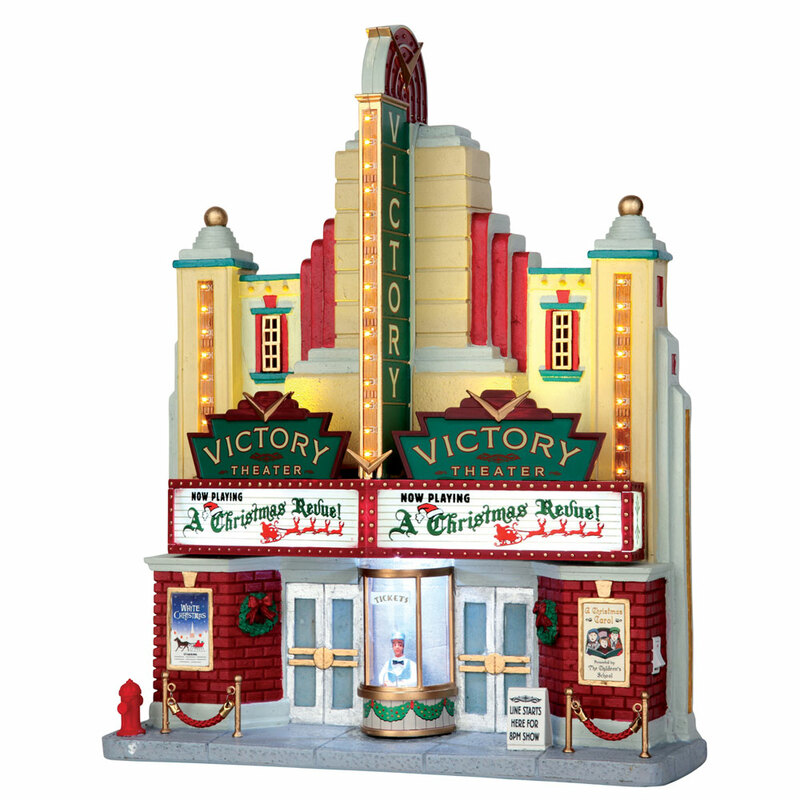 Victory Theatre offers a delightful self standing building on an individual base to compliment your seasonal Lemax seasonal Village.